Let's dive next into DocumentDB's Management and Configuration options and take a look at how to create accounts, databases, and collections in the Azure portal. DocumentDB guarantee's that 99% of reads and writes will execute within 10 and 15 milliseconds, respectively. Additionally, the service itself provides a four nines service-level agreement for availability. One of the highest for any managed cloud service in Azure or otherwise. These guarantees are supported for databases of a gigabyte or even terabyte size. The managed infrastructure of the DocumentDB's service combined with replication and partitioning behavior combine to make the effective size of a DocumentDB database virtually limitless. As mentioned, DocumentDB supports both local and cross-region replication. It also supports data partitioning via a configured JSON document path. Meaning the resolved value of that path for each document is used to place that document in the correct physical partition in the DocumentDB service. This allows application load to be balanced across provisioned infrastructure. To support fast queries, DocumentDB indexes all JSON attributes and values. If desired, this behavior can be configured to reduce index update latency. DocumentDB supports an optional Time-to-Live value for documents to auto-purge data as it's no longer needed. There's also a full REST API for creating, configuring, and removing resources like accounts, databases, collections, documents and so on. And finally, it's important to understand that DocumentDB supports four possible data consistency levels. Configurable on a per request basis. Let's explore those a bit further now. Most databases support a single consistency model, but DocumentDB supports four. This allows you to tune DocumentDB to work optimally in a variety of application scenarios. The consistency modes can be configured globally at the account level but also overridden on a per request basis, as needed. The first option is strong consistency, which is the model most familiar to those who know typical relational databases. Use of this model ensures fully consistent reads and writes for all users working on the same data. Reads will always return the latest committed updates and writes are committed only when a quorum of replicas acknowledges the change. So as you might guess, this model is the most expensive in terms of reserved throughput expense and also incurs the highest request latency. The second option, bounded staleness, allows for some stale data to be returned from a query within a certain time window or for a specified number of prior data revisions. This model intentionally trades off the potential visibility of stale data within those specified parameters in exchange for the ability to span a given collection across multiple Azure geographic regions. Something you can't do with strong consistency. The third option, session, is very useful for applications that have a formal notion of client session or where large subsets of application data are not shared across users or devices. This option provides full consistency guarantees but only within a single client session. This trades off behavioral limitations of the application and of the database in exchange for improved throughput in performance for applications that happen to fit this scenario. 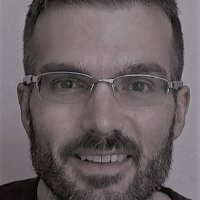 The last option, eventual consistency, is typical for many NoSQL databases where writes are asynchronously merged to all replicas and it's possible that prior to all replicas seeing those final changes, a client could see an older value of a piece of data after previously seeing a newer value of that same data. This model provides the lowest possible read and write latency in exchange for behavior that will work for some but admittedly not all application scenarios. The take home point here is to be aware that these options exist and to think very explicitly about your application and which model works best for you. Finding an appropriate balance between consistency and throughput is one of the most critical issues for any application team targeting the cloud. DocumentDB gives you the knobs to twist to find that proper balance.